Since ACRES is a University of Wyoming organization, a variety of internships, educational research, and volunteer opportunities are available. Scroll down to learn more about these opportunities, our weekly meeting time, and more! *Please note that ACRES does not hold volunteer workdays during the winter months. However, there are still plenty of volunteer opportunities (including weekly compost collection) during the winter months. We welcome you to email us at uwstudentfarm@gmail.com or come to one of our weekly meetings for more information! ACRES is always looking for volunteers to help out at the farm. Volunteers of all ages, backgrounds, and experience levels are welcome. 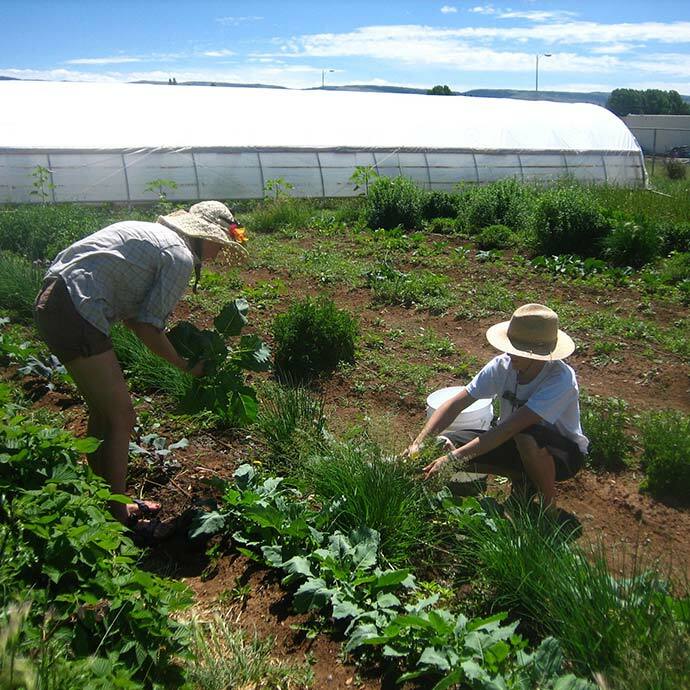 Workday tasks usually consist of preparing beds, weeding, planting, compost maintenance, harvesting, and basic upkeep of the farm property. Workdays are a great opportunity to enjoy time outside, get your hands dirty, learn something, and meet people with common interests from our community! We encourage individuals, as well as groups of people of all ages, backgrounds, and experience levels to volunteer and help us grow. If you're interested in volunteering at the farm, all you need to do is show up during a workday (you don't have to be there right when it starts, nor do you have to stay the entire time. Come when you can and stay as long as you'd like!) We encourage you to bring sunscreen, a hat, closed toe shoes, plenty of water, and a smile. We will provide the gloves, tools, and good old-fashioned fun in the dirt. Spring 2019: Weekly workdays are on Saturdays from 10AM-2PM. Currently (March 2019), we don't yet have workdays every Saturday, so email us to see when the next one will be! Follow the link for directions to the farm. ACRES is largely managed by students during the school year, but when students leave for the summer we reach out to Laramie community members and organizations to keep us going. Many Laramie organizations have brought out volunteer groups to help us accomplish small but meaningful projects. It is a great way to provide a new experience for your team and to help with team building! If your organization is interested in signing up for a volunteer workday and/or would like more information, please contact us via email: uwstudentfarm@gmail.com! Do you want to volunteer, but can't make it to the workday? We are always looking for volunteers to help with our compost pick-ups! 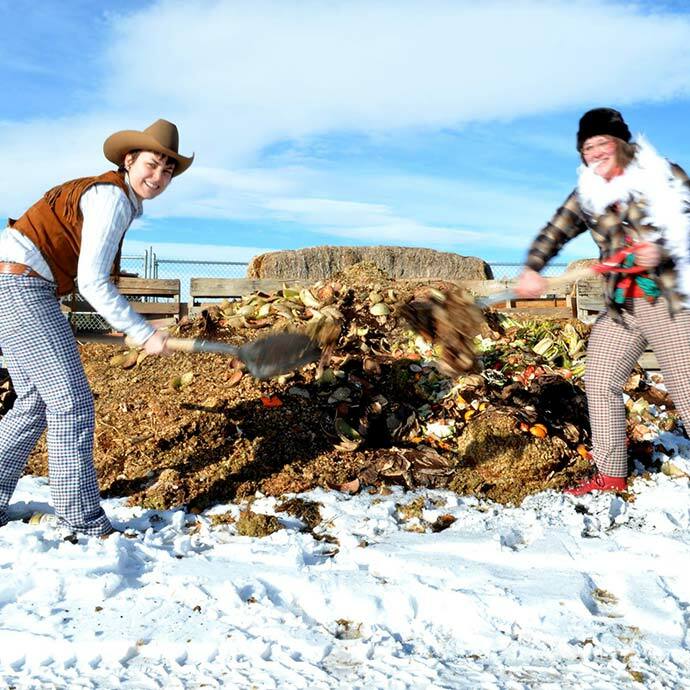 Follow the link to learn more about our composting program here at ACRES! Interested in seeing the brains behind the brawn of ACRES? Swing by one of our meetings, held Thursdays at 5 PM in room 41 of the Agriculture Building during the school year. During the summer, meetings will be held at the farm (day/time TBD). Follow the link for directions to the farm. Anyone and everyone is encouraged to come and check out what ACRES is all about! It is possible to fulfill other internship requirements with ACRES. We are very open to working with individuals that are conducting research projects pertaining to sustainable agriculture and/or agricultural education. For more information, please email us at uwstudentfarm@gmail.com. We'd love to hear from you! ACRES offers educational tours and volunteer workdays during the summer, as well as the spring and fall semesters. Students of all ages and backgrounds are welcome to join us and learn about what we do and how we do it. For more information or to schedule a tour/volunteer workday, email us at uwstudentfarm@gmail.com. Interested in composting or becoming a member of our Community Supported Agriculture program? Follow the link to learn more about these other ways to get involved!